The collections of the Randolph College Biology Department contain hundreds of zoological specimens including birds, mammals, fishes, reptiles, insects, marine invertebrates, and fossils. The collections also boast an excellent herbarium containing thousands of specimens of plants indigenous or introduced to the eastern United States, specifically Central Virginia. A final feature is the large geology collection, featuring thousands of rock and mineral samples from around the world. The core collection dates at least back to 1895, with geological specimens accrued by Fernando Wood Martin, chair of the department of Physics and Biology at what was then Randolph-Macon Woman’s College. 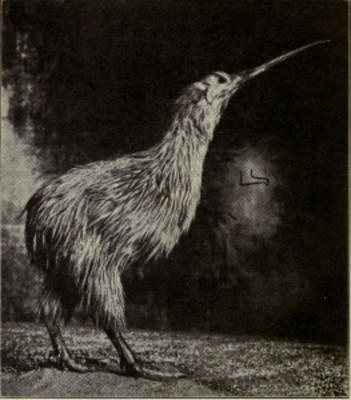 The zoological collections can be dated at least to 1913, when professor John Irvin Hamaker featured images of some of these specimens in his textbook Principles of Biology. Other specimens have been added at various times throughout the history of the college, and continue to be added by students and interested donors today. Some of these specimens were derived from other important collections including the Boucard Museum, the Smithsonian Institution, and the National Zoological Park. As of 2013 the avian and mammalian collections have been comprehensively cataloged. Efforts to include the other specimen collections in the catalog are ongoing. The current permit held by the biology department is for a salvage collection, meaning that new specimens are acquired after the natural or accidental death of the animal rather than active collection of living animals. augustus "blackwater creek" bobcat bovidae canidae carbonates "carrie smith collection" cervidae coin coyote "deer mouse" denarius didelphimorphia "domestic cattle" "domestic dog" "domestic goat" "domestic horse" "eastern chipmunk" "eastern cottontail rabbit" "eastern grey squirrel" equidae felidae "great basin pocket mouse" halides hare hominidae "house cat" insectivora insectovora mammal mephitidae "northern shorttailed shrew" "pine vole" procyonidae raccoon rodentia rome silver "silver denarius" skull skulls "southern flying squirrel" "study skin" "study skins" sulphides "virginia opossum" "white tailed deer" "whitefooted mouse" woodchuck "woodland vole"